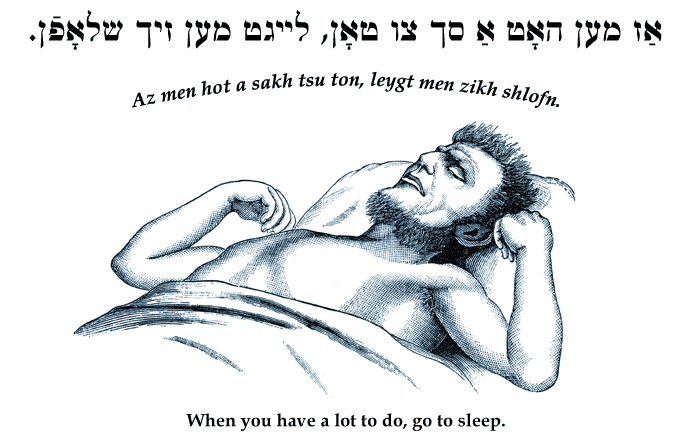 Yiddish Wit: When you have a lot to do, go to sleep. ‏אַז מען האָט אַ סך צו טאָן, לייגט מען זיך שלאָפֿן. Az men hot a sakh tsu ton, leygt men zikh shlofn. When you have a lot to do, go to sleep.